For the past year I've had this obsession with Pull Apart Bread. I'm sure you've seen the pictures on Pinterest. You know the ones...loaves of golden brown sweet bread dripping with glaze. So you understand the reason for my obsession. Well, I couldn't ignore my craving any longer and finally got the chance to make some this past weekend. Instead of making a loaf (that I would probably have eaten all by myself the minute it came out of the oven and got doused with glaze), I decided to practice portion control and make individual rolls. While making a single loaf would definitely be easier, I have to say that I love this idea better. Instead of everyone pulling off of the same loaf of bread (that's assuming you're gonna share of course), everyone gets their own individual roll! Initially the assembly seemed complicated, but once I got through the first few rolls, it was pretty easy. The dough was easy to make and work with. It wasn't sticky or tacky at all, which is often my frustration when working with dough. These rolls require some work, but they are definitely a labor of love and the end result is truly worth it. I mean, isn't homemade bread always worth it? With rain forecasted all weekend, why not spend a leisurely morning making some of these delicious, not overly sweet, light, tender Lemon Pull Apart Rolls. They just might be the ray of sunshine you need on an otherwise dreary rainy day. ** Plan ahead - the rolls need to rise 2x for a total of 2 1/2 hours. You want to start making these about 3 1/2 hours before you serve them. 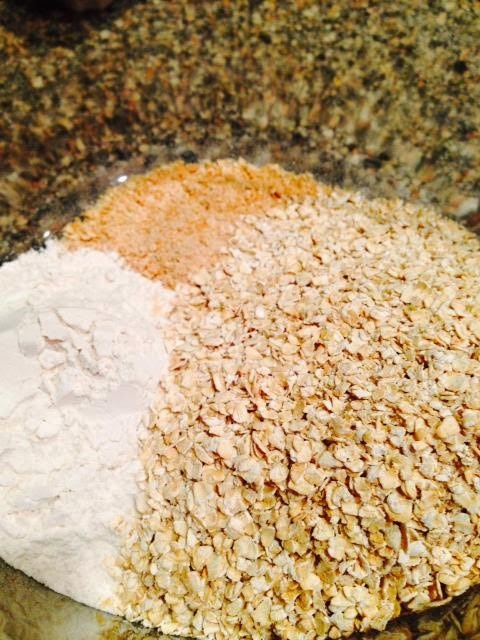 In the bowl of your stand mixer fitted with the paddle attachment, combine 2 cups of the all purpose flour, sugar, yeast and salt. Pulse to combine. In a small saucepan, heat the milk and butter over low heat just until the butter is melted. Remove the pan from the heat and add the water. Stir to combine. 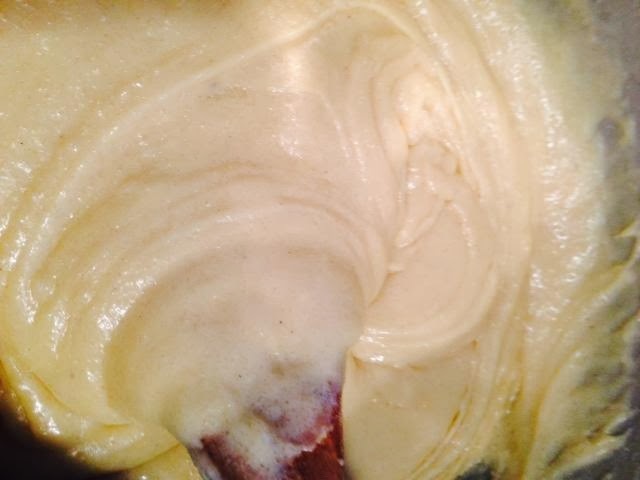 Allow to cool to 120-130f (about 1 minute), then stir in the vanilla extact. Add the milk mixture to the bowl with the flour mixture. 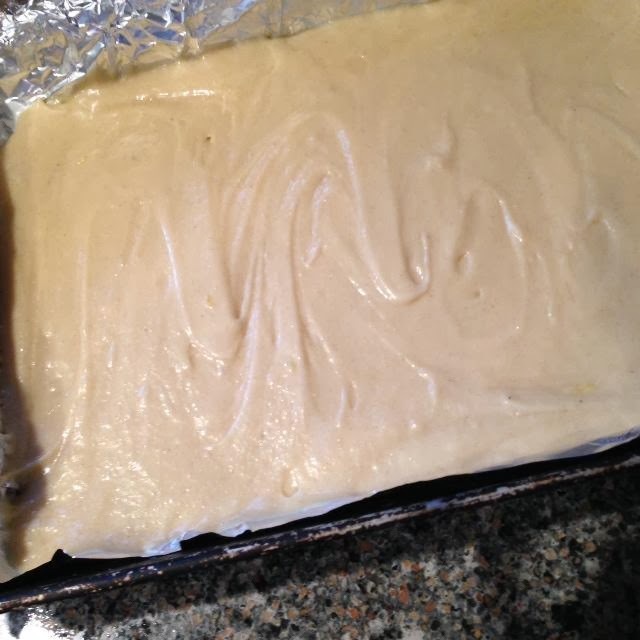 Mix on low until evenly moistened. 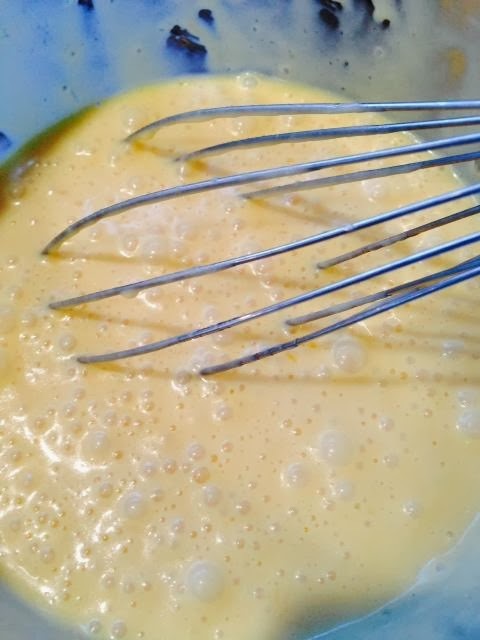 With mixer on low speed, add the eggs one at a time mixing just until combined. 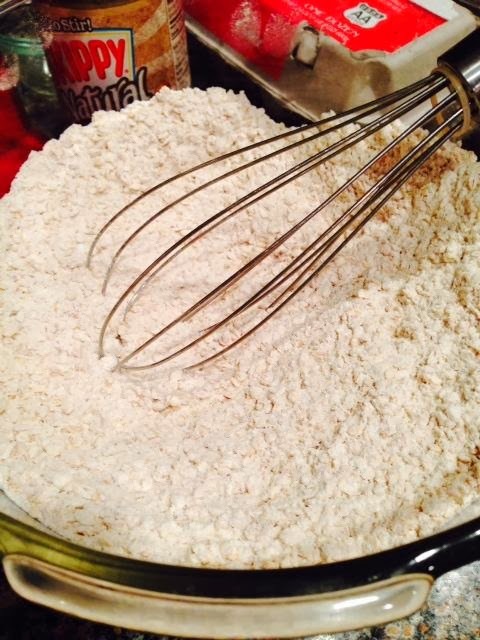 Stop the mixer and add 1/2 cup of flour. 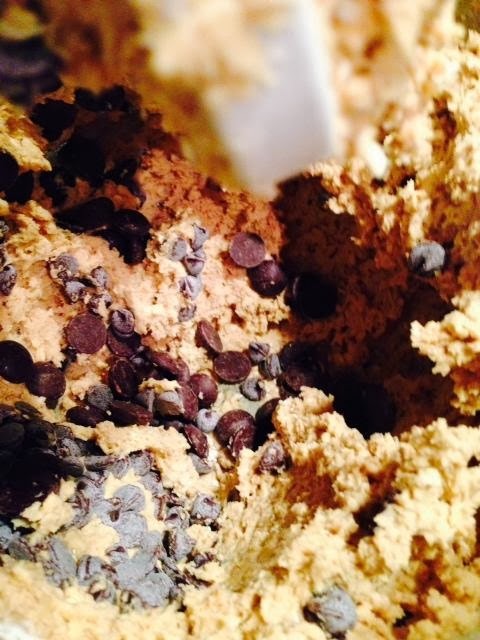 Mix on low until the dough is smooth (about 45 seconds). Add 2 tablespoons of flour and mix on medium speed another 45 seconds. The dough should be smooth, soft and sticky. Sprinkle a work surface with flour and turn the dough out onto the work surface. Using a bench scraper or your hands, knead the dough until smooth and no longer sticky adding no more than 1-2 tablespoons of flour if needed. I didn't have to add any additional flour. The flour I sprinkled on the work surface incorporated with the dough while I was kneading it to create a smooth dough that was no longer sticky. Tip: To help with the rising process, I placed the covered bowl of dough on top of the stove, preheat my oven to 300 then turn it off and leave the door slightly ajar. This creates a warm environment for the dough to rise. 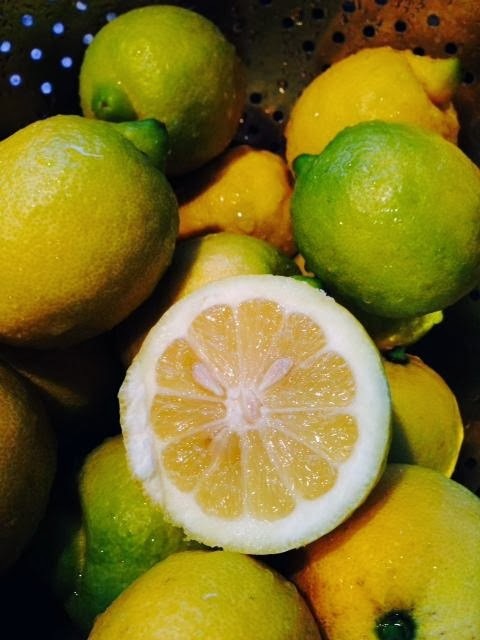 In a medium size bowl, combine the granulated sugar and lemon zest. Allow to sit while the dough is rising. The lemon zest will perfume the sugar and the sugar will draw out some of the moisture from the zest. Spray a 12 cup muffin/cupcake pan with non-stick cooking spray. Set aside. Turn the dough out onto a clean work surface and cut in half. 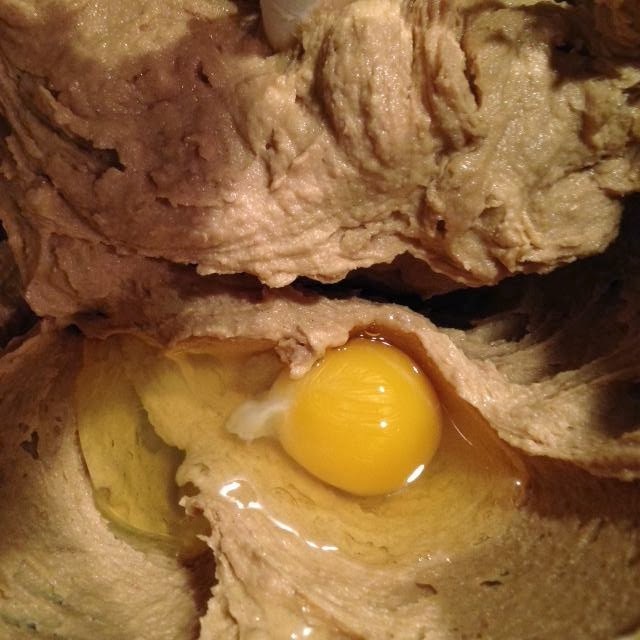 Set half of the dough aside and cover it. Gently shape the half of the dough you're working with into a log and cut into 12 pcs (approx. 3/4" wide). Roll each piece into a strip that's 6" long and 3/4" wide. Using half of the melted butter, brush each strip generously with butter. 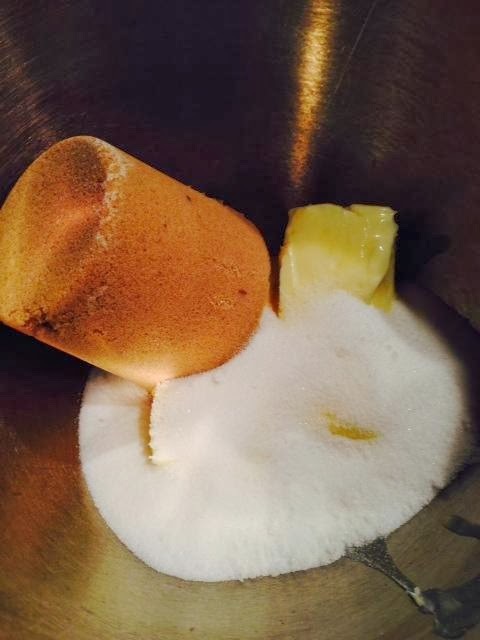 Using half of the lemon sugar mixture, sprinkle each stripe with sugar. Cut each strip in half widthwise, creating a total of 24 strips then 6 of the strips and stack 3 strips on top of each one creating 6 piles of 4 strips. Pinch the bottom of each stack of strips and place the pinched bottom into the bottom of the muffin cup. Fan the top slightly. Repeat until all rolls have been assembled, then sprinkle any excess lemon-sugar mixture remaining on your work surface that may have escaped during the assembly process onto the top of the rolls. Cover the rolls and place in a warm place to rise for about 60 minutes. Preheat oven to 350f and bake 18-20 minutes or until golden brown. Remove from oven, allow the rolls to cool slightly in the pan them remove to a wire cooling rack. Drizzle the glaze over the cooled rolls and serve. Store leftovers covered at room temperature for 1 day. To reheat, place in the microwave for a few seconds. Let me start off by saying that my sister said these were "not really brownies" as she was eating her second one. I guess technically they aren't brown like brownies, but these are definitely brownies - rich, moist and decadent, everything a brownie is supposed to be in my book. 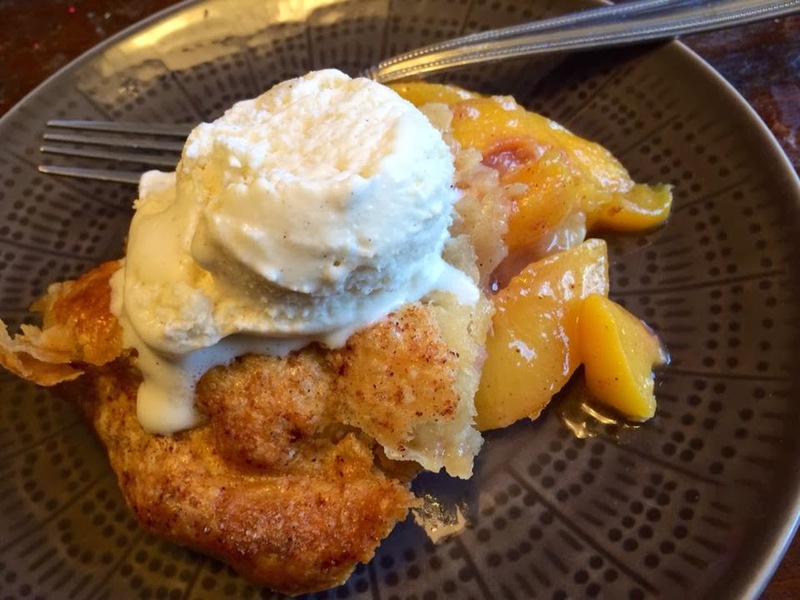 I actually made these last weekend for a few of my boyfriend's friends that were helping him with one of the VW’s buses and I needed a delicious dessert to go with dinner. I didn’t want to make my go-to brownie recipe (which is pretty awesome), but wanted to try something new for the blog and I had the perfect people to try them out. So I started looking at what I had on hand and right away I remember that my father had just picked a bag of fresh lemons from his tree for me. Now, I had the ingredient, but needed the recipe. 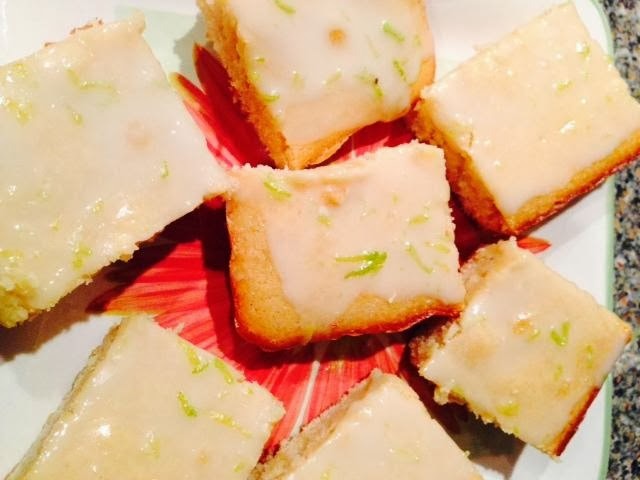 I started searching and came across this recipe for Sticky Gooey Lemon Brownies from Becky Bakes. They sounded interesting so I thought I would give them a try. 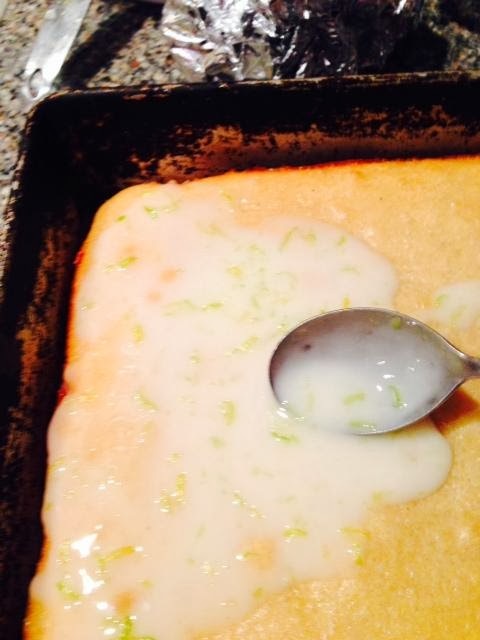 I adapted the original recipe by adding cardamom which compliments the flavor of lemons perfectly. Let just say the end result was amazing! I personally have to say that it is on the list of PERFECT desserts in my book. One of boyfriend’s friends said it was now his new favorite. That compliment is not taken lightly from someone who has taste tasted quite a few of my desserts in the past. A great compliment for the baker! So what does this brownie taste like? Imagine a thick, moist cake topped with a sweet-sour glaze. 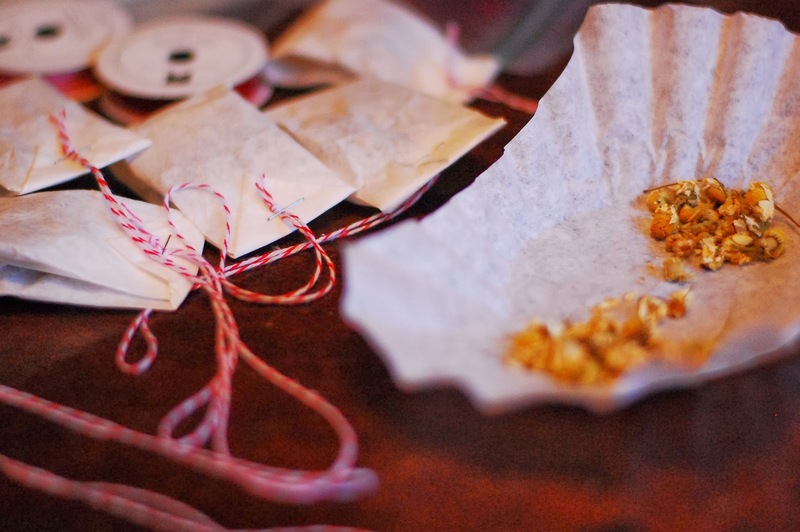 The Cardamom adds just enough spice to leave you wondering "what's in there?" I promise your taste buds will be on overload with this dessert. This is a perfect dessert for a work potluck or family party...or just because. 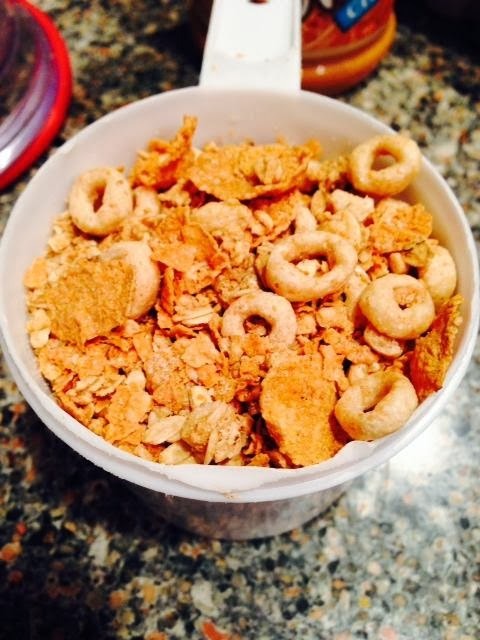 Whisk the flour , sugar, cardamom and salt in a bowl till combined and set aside. 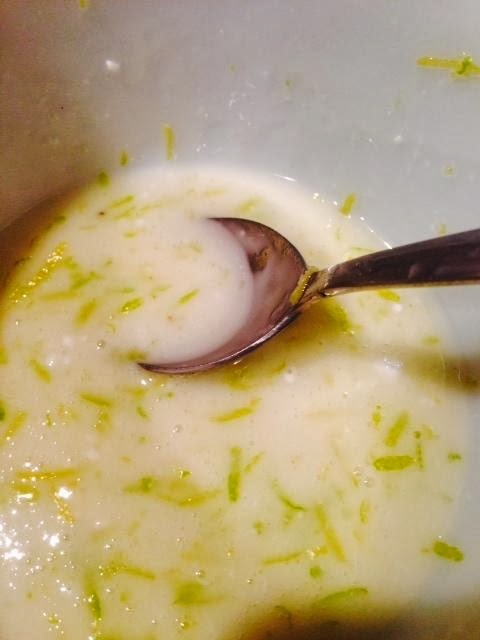 In a separate bowl combine melted butter, eggs, sweetened condensed milk, vanilla, lemon juice and lemon peel. There are cookies and then there are COOKIES!!! I have to say, that this is the one for me. This cookie is absolutely delicious! 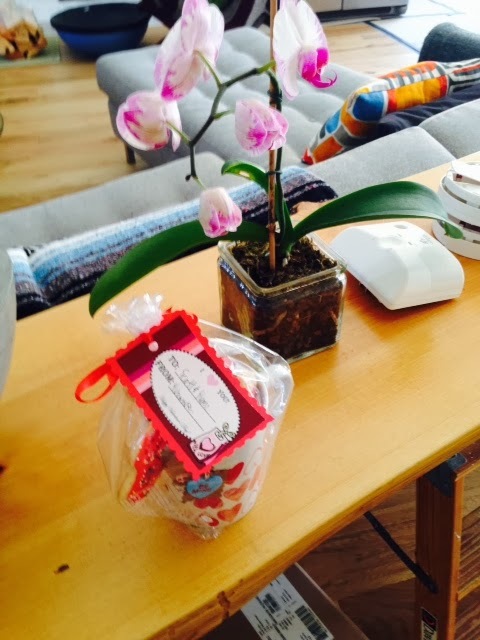 Last month I needed a dessert for the Super bowl and this cookie came to be. 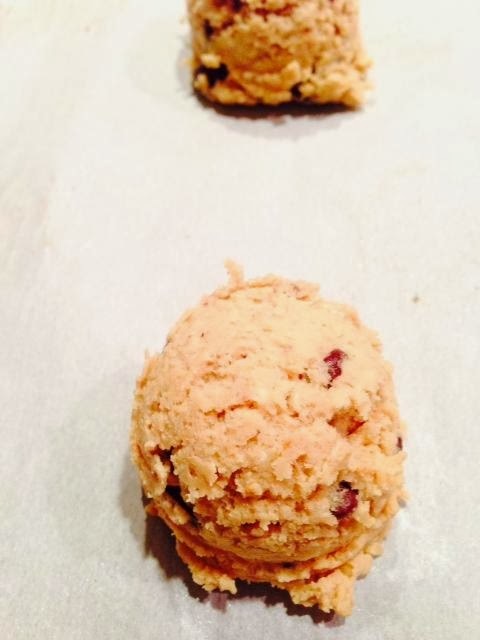 I had a basic peanut butter cookie recipe and gave it a twist. 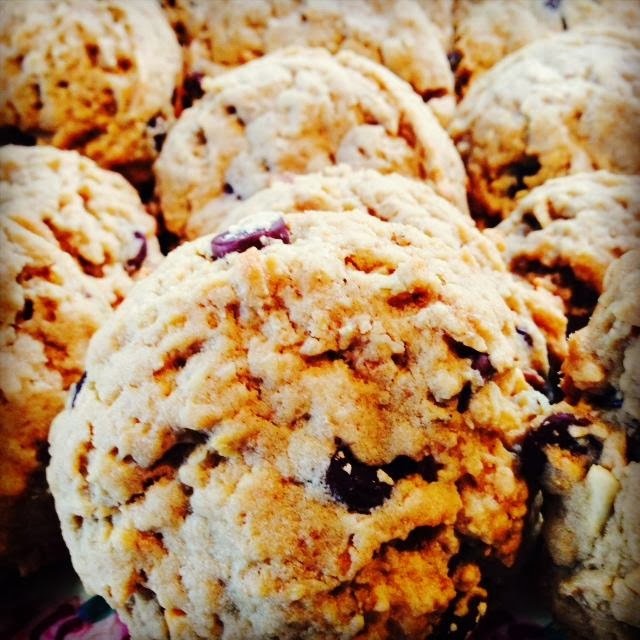 The honey and the two types of chocolate give this cookie a really good combination of flavor. 4. 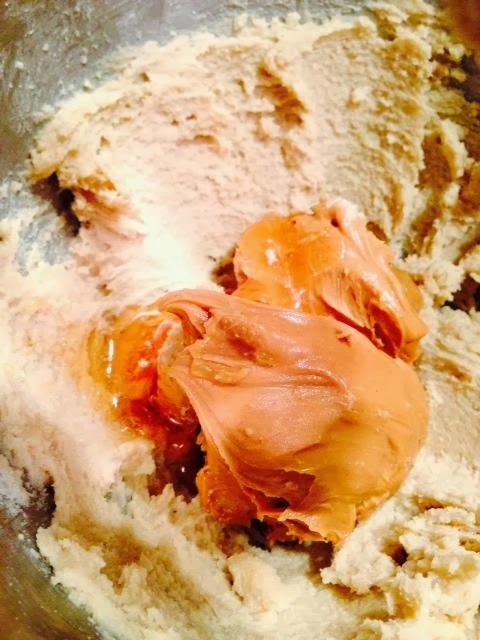 Add Eggs amd Vanillla to the peanut butter mixture. Do not over beat. 5. 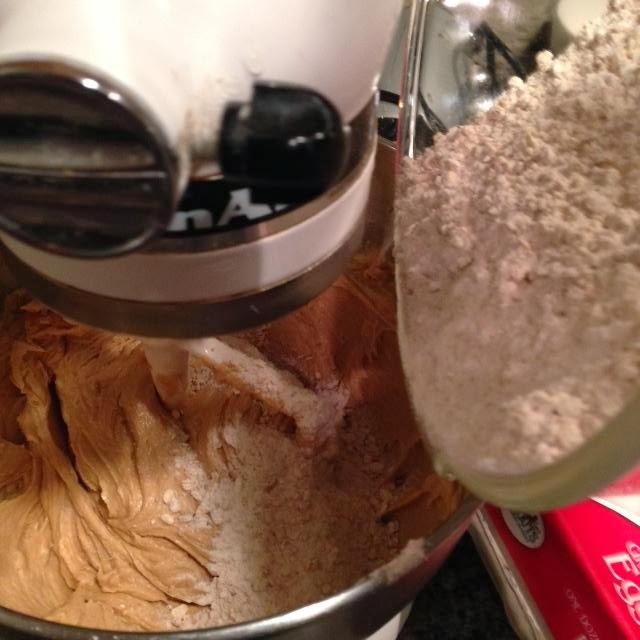 Gradually add the flour into the Peanut butter mixture till all combined. Do not over mix. 7. 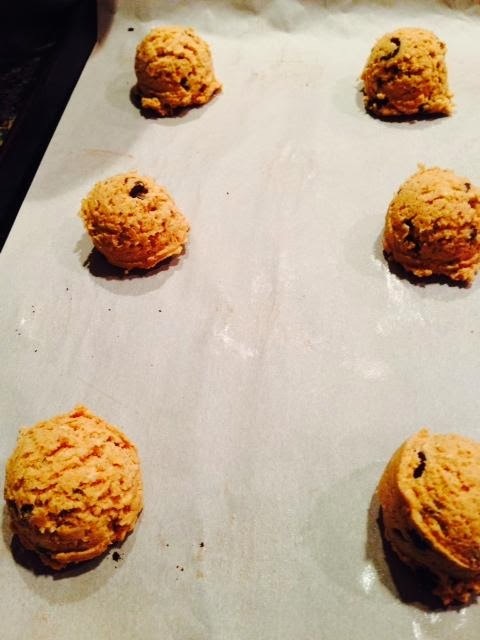 Using a cookie scoop, place scoops of dough on the prepared baking sheets. Bake for 11-13 minutes. 8. Cool on pan for about 3-5 minutes then transfer to cooling rack. Baking something for The Leftovers Club was especially fun (and especially challenging) this month because of Valentine's Day! 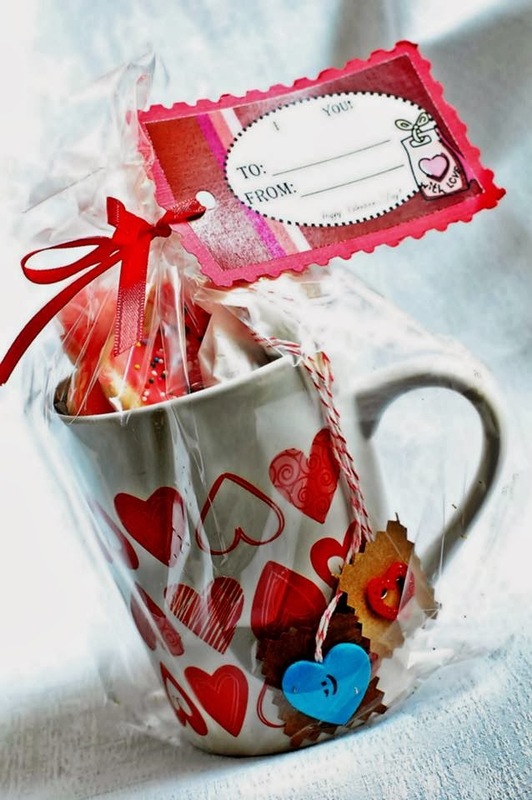 I'm a sucker for hearts, and red is one of my favorite colors, but I'm not the type of girl that goes crazy with expectation over flowers and candy. I mean think of all the pressure it puts on those poor guys...Luckily my husband is a natural romantic. He's super sweet and thoughtful all year round, not just on Valentine's Day, which is one of the things I love most about him. He's a "just because" kind of guy. 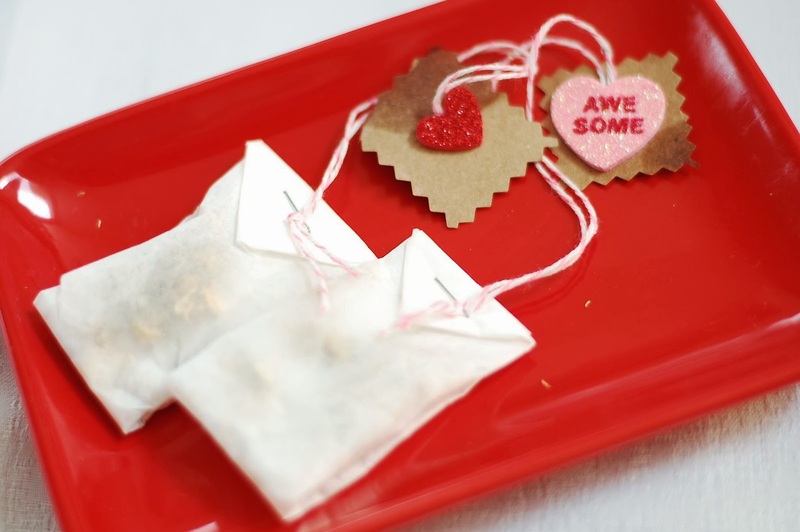 For this month's Valentine theme Leftover Club exchange, I decided to make my favorite shortbread recipe and bake them into cute little hearts sprinkled with sparkly red sugar. I mean how cute are these? Sometimes Valentine's Day treats are cute, but don't actually taste that great. 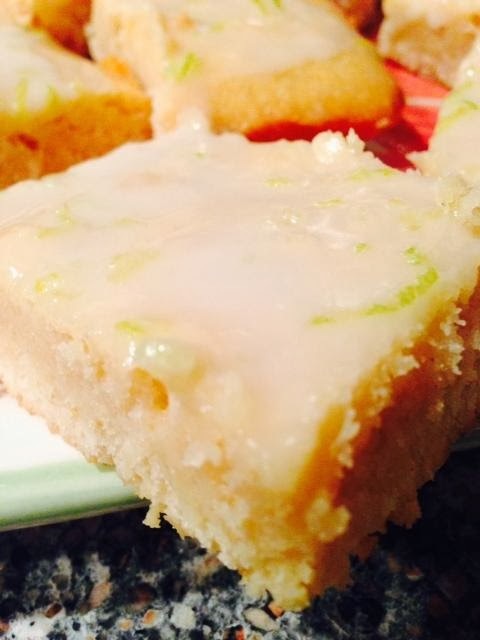 This shortbread recipe is delicious and is a great recipe to have in your baking arsenal. You can make them and cut them into your favorite shapes for any holiday or "just because". I packaged up a few of the shortbread hearts in a cute little jar along with a few of the other cookies we made recently for our Valentines Day Cookie & Craft party (see the post here). I hope Laura over at The Spiced Life enjoyed them! 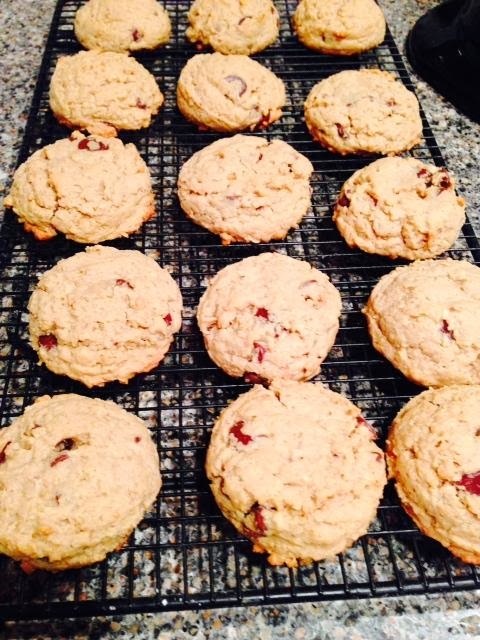 Laura has a great, eclectic variety of recipes on her blog and also hosts The Creative Cookie Exchange. Please stop by and show her some love! If you're interested in joining The Leftovers Club, please sign up over at Food Ramblings. It's a great group and we'd love to have you!! Instead of cutting the dough into squares, I used a 2.5" heart shaped cookie cutter. Place the cookies on a parchment or Silpat lined baking sheet and sprinkle with red sparkling sugar (or use any sprinkles you want). Refrigerate for 10 minutes then bake at 375f until lightly golden brown around the edges. 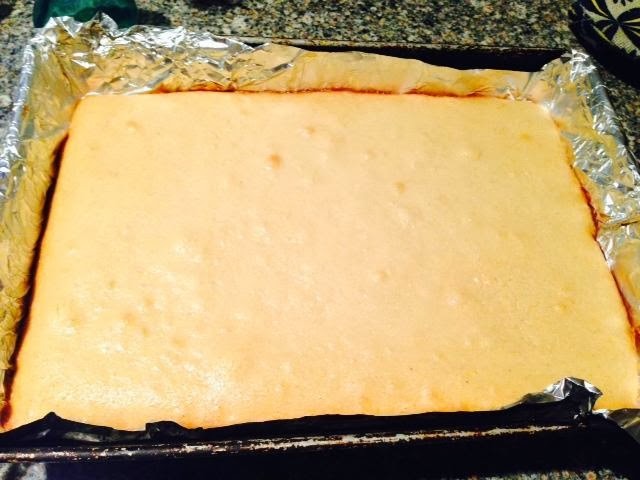 I rotated the baking sheet halfway during the baking time to promote even browning. Remove from oven and cool for a few minutes on the baking sheet then remove to a wire cooling rack. These cookies would also be great with your favorite cookie glaze instead of sprinkles. Or if you're a shortbread purist, serve plain! The flavor is delicious all on it's own! 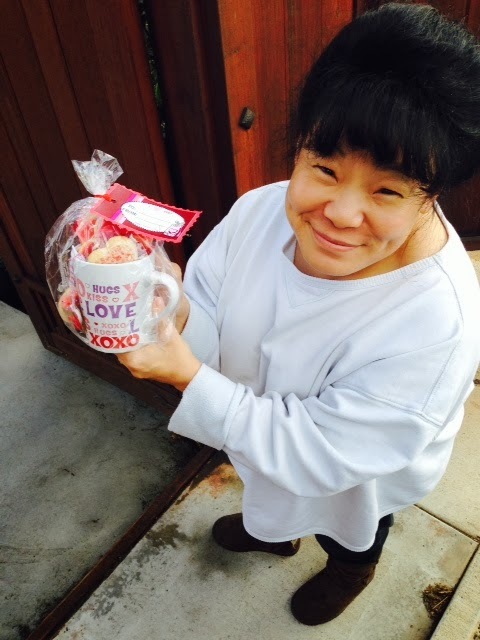 How LIVEBAKELOVE does Valentines day , plus basic SUGAR COOKIE recipe. Valentines Day has always been a fun time for Faye and I. 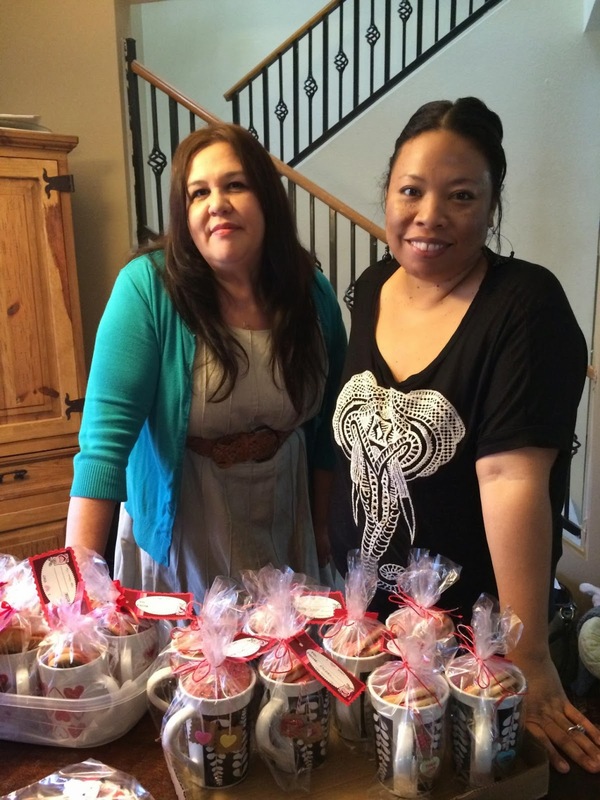 We have been hosting Valentine cookie parties for a few years now. This year was especially fun. 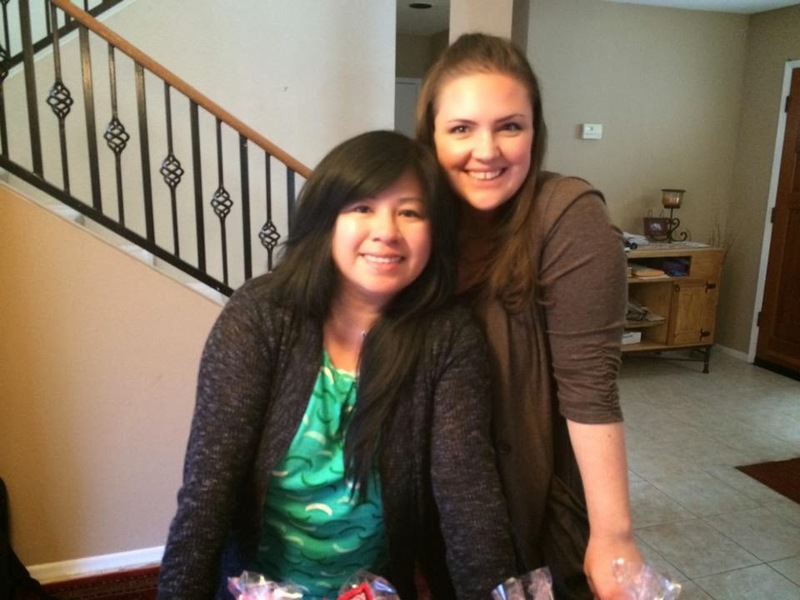 We did a craft project in addition to our usual cookie exchange. 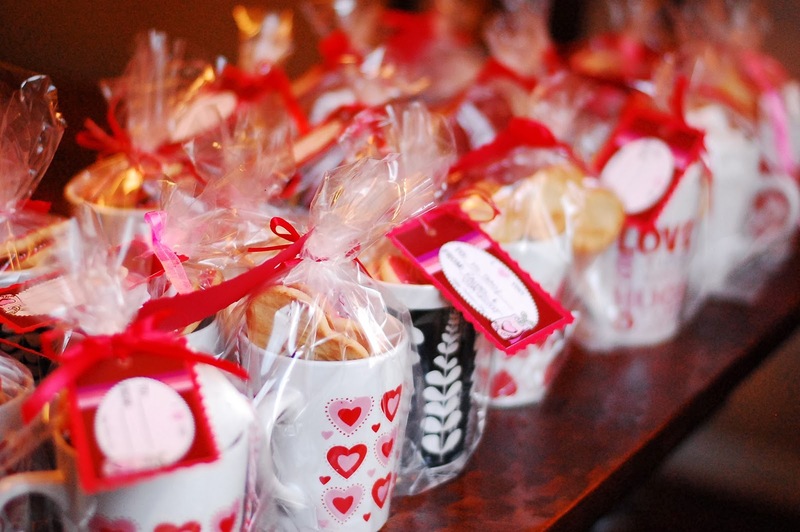 Our craft this year was Valentine Day mugs filled with homemade teabags and homemade cookies. 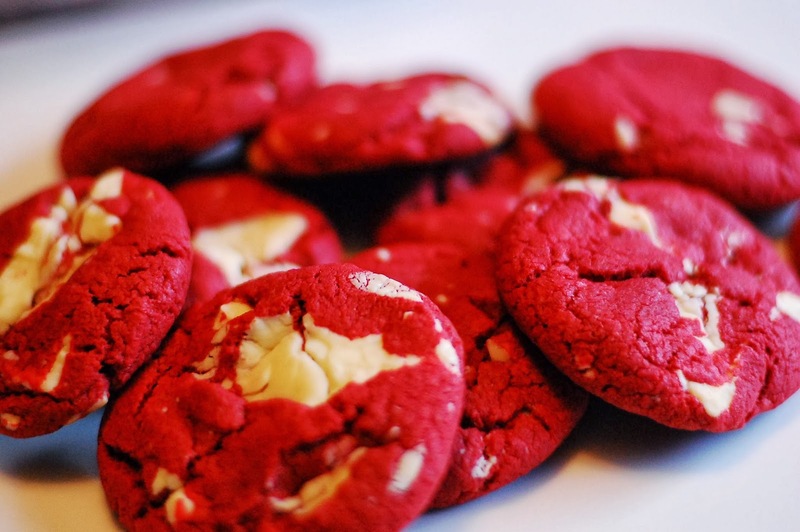 Aside from looking beautiful , they are a delicious treat for anyone receiving them. For lunch, Faye cooked us up a traditional Southern Menu of Buttermilk Fried Chicken, Blackeye Peas that had been slow simmered with ham hock until it was falling off of the bone, Collard Greens with bacon, Cornbread with Honey Butter and to finish off, Peach Cobbler with Vanilla Bean Ice Cream. Let's just say we had an amazing Valentines day for us girls. 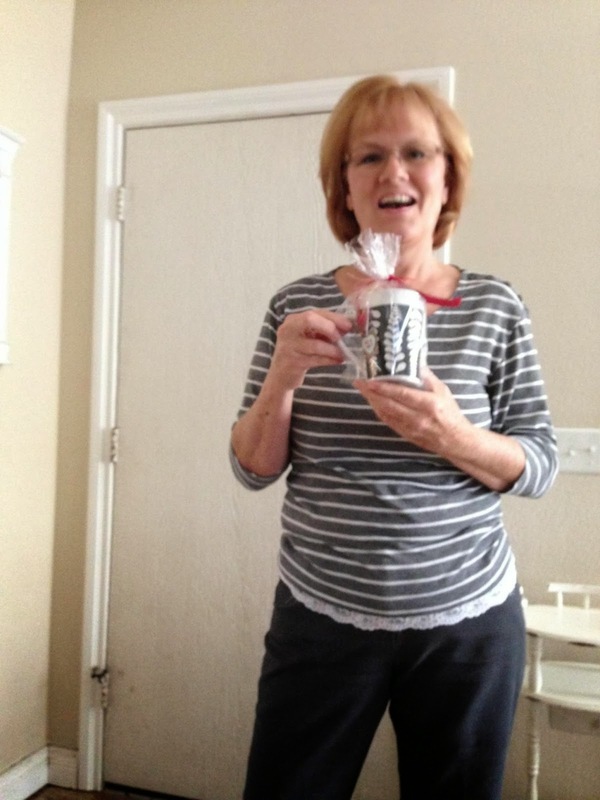 We hope you enjoy the photos and recipes! 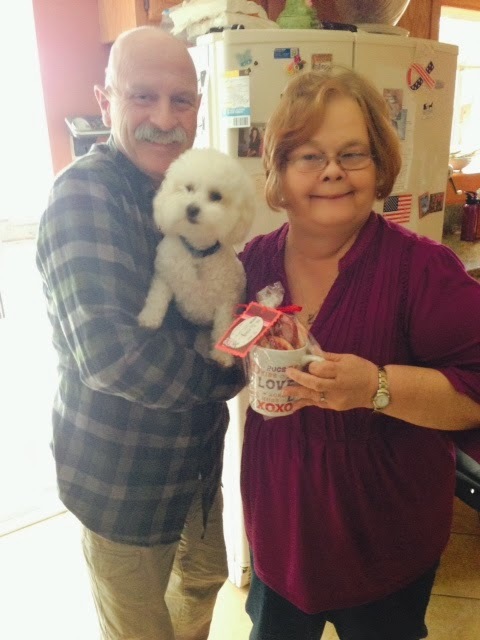 Wishing everyone a wonderful Valentines day from LiveBakeLove. 1. Zest lemon (since I do not own a zester, I use my mini grated. Works just as good. 2 Add eggs , one at a time. 3. Add vanilla, lemon peel and lemon juice. 4. 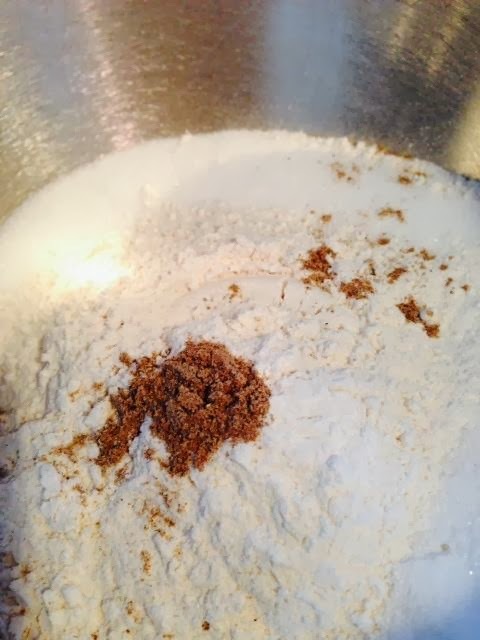 Gradually add in flour mixture until incorporated. Do not over mix. 5. Divide dough in half, form each half into a disk and wrap each in plastic wrap. Refrigerate for 1 hr (or can leave overnight). 6. Once dough has chilled, working with one disk at a time, roll onto a floured to about 1/4 thick. Cut into shapes using a cookie cutter. 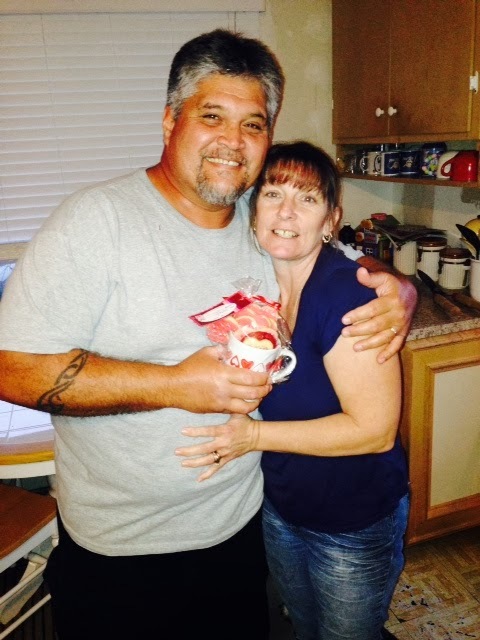 I used a heart shape with a small cut out designed for placing on the rim of a mug or tea cup. 7. Bake for 6-7 minutes. Cool on cooling rack before decorating. Mix together 2 cups powder sugar, 1/2 teaspoon vanilla, 1/2 teaspoon lemon juice, 1 tablespoon corn syrup and 2 tablespoons milk. If too thick add more milk, if too thin add more powder sugar. Should be the consistence of a thick syrup. Add any food color you like.